James Hansen and 18 leading climate experts have published a peer-reviewed version of their 2015 discussion paper on the dangers posed by unrestricted carbon pollution. The study adds to the growing body of evidence that the current global target or defense line embraced by the world — 2°C (3.6°F) total global warming — “could be dangerous” to humanity. Specifically, the new Hansen et al study — titled “Ice melt, sea level rise and superstorms: evidence from paleoclimate data, climate modeling, and modern observations that 2 C global warming could be dangerous” — warns that even stabilizing at 2°C warming might well lead to devastating glacial melt, multimeter sea level rise and other related catastrophic impacts. The study is significant not just because it is peer-reviewed, but because the collective knowledge about climate science in general and glaciology in particular among the co-authors is quite impressive. A one-day Symposium to examine the catastrophic public health consequences of climate change and the ways that climate change will increase the risk of conflict, including nuclear war. London Mayor Sadiq Khan has joined forces with city leaders from around the world to call on governments to take urgent action on climate change. Ahead of a meeting of the G20 group of leading nations in Hangzhou, China, 30 mayors from cities including London, Paris, Tokyo, Sydney, New York, Cape Town and Rio de Janeiro called on national leaders to work with them to “build a low carbon, climate safe world”. 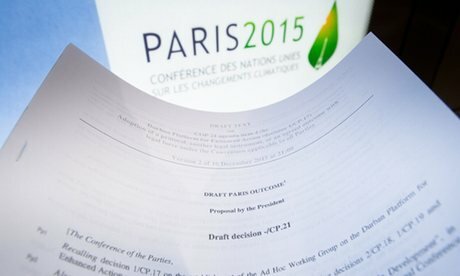 They welcomed government moves to secure the Paris Agreement, the world’s first comprehensive global deal to tackle climate change, in December last year, and efforts to ratify it as soon as possible so it could come into force rapidly. But they warned “this is only the first step along the road towards our low carbon, climate safe future”. In an open letter, the mayors from the C40 group of cities championing climate action said: “To limit the global temperature increase to 1.5C above pre-industrial levels, global greenhouse gas emissions need to peak by 2020. They said they were already dealing with the consequences of climate change in their cities, battling floods to heatwaves. But city leaders were also taking action such as banning the most polluting cars, rolling out fleets of electric buses and improving energy efficiency, which also had benefits for health, well-being and economic growth, they said. What role did the U.S. play in the overthrow of Salvador Allende? Jack Devine was a CIA agent in Chile at the time of the coup. In an interview with Atlantic contributing editor and Efecto Naim host Moisés Naím, he discusses the CIA’s role in the insurrection and in supporting the opposition to Allende. Of the decision not to stop the coup, Devine claims the agency’s instructions came from the White House, which was occupied at the time by Richard Nixon. “That is a Washington policy decision, that is not a CIA decision,” he says. 2 september 2016 – In a new report, launched today, Friends of the Earth International calculates that government revenue lost to tax havens over a 15-year period could power Africa, Latin America and much of Asia with 100% renewable energy. Globally every year up to $600 billion dollars of government tax revenue is lost through tax avoidance alone 1. The report comes ahead of the G20 leaders summit this weekend in China where the dual realities of climate change and tax avoidance should be at the top of the agenda. Energy production from fossil fuels is one of the main contributors to sky-high levels of carbon emissions and tackling it is central to stopping a climate disaster. The practice of hiding profits abroad in tax havens, denies governments vast sums of money that could, and should, be used for social purposes, including to fund renewable energy. Government revenue lost through tax havens could power half the world with 100% renewable energy by 2030, including many G20 countries: Argentina; Brazil; India; Indonesia; South Africa. The extra investment required to power Africa, Latin America and much of Asia with 100% renewable energy is on average $507 billion per year over a 15 year period 2. This is well below estimates for annual tax revenue lost through tax havens globally. “This report is a wake up call for the G20 to stop talking and start acting. The finance to bring about an Energy Revolution exists, it is hidden in tax havens, but the political will to drive the transformation is shockingly absent.” says Sam Cossar-Gilbert of Friends of the Earth International. “Each year the climate crisis is getting worse. Without urgent action we will see greater hunger, drought, floods, and weather extremes, as well as mass extinctions and the forced migration of millions of people”, he adds. “It is a gross injustice that the world’s richest multinational corporations and individuals do not pay their fair share of taxes and continue to pollute without limit. We must stop tax avoidance and use that money for building sustainable and just societies. An Energy Revolution is possible, but we must fight for it”, says Dipti Bhatnagar, Friends of the Earth International Climate Justice and Energy coordinator. “Climate change is a symptom of our broken system. The energy transformation involves not just switching from fossil fuels to renewable energy, but also challenging the corporate power and greed that has led to this crisis,” she adds. Friends of the Earth International believes that stopping tax avoidance and evasion gives an opportunity to increase public spending on public services – including community and socially controlled renewable energy. For this there is an urgent need for G20 and governments to end tax havens. A 100% renewable energy revolution is financially well within reach. But leaders must demonstrate the political will to make it possible. On September 11th 1973 a military coup was started by Augusto Pinochet which removed the democratically elected leader of Chile. This film recounts the event from witnesses and archive footage of ‘The Other 911’.